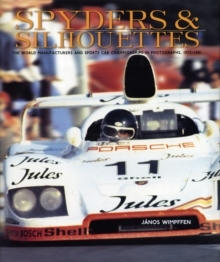 Spirited, fast, quirky, elemental, affordable, idiosyncratic, and most of all, fun - these are among the many adjectives that have been used to describe British sports and sports-racing cars of the 1950s and 1960s. 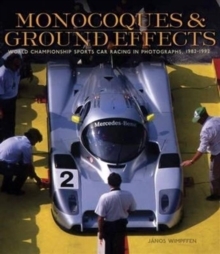 The cars of Elva fulfil all these descriptions and more: simple yet clever and competitive. 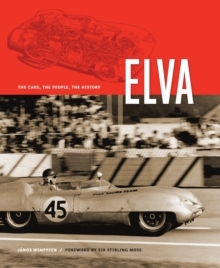 For many automotive enthusiasts the Elva name has been known but its history has remained shrouded in myth. For Elva followers, the cars' and the company's successes and failures have been almost secret - until now. Like many of its contemporaries, Elva began modestly, but the specials built by Frank Nichols and his crew in Bexhill and Hastings, Sussex, (and eventually in Croydon) were soon recognized internationally for performance that often exceeded that of their peers, at a fraction of the cost. Elvas epitomized the concept of intuitive design. As one observer put it, "All that the mechanics seem to have were a set of tools consisting of a file and a hacksaw...not a drawing in the place.